Tis the season for some good old-fashioned December spring cleaning. Throughout the year, we tend to get caught up in life, from work to family and it can cause us to slack when it comes to the cleaning department. Now that it’s the festive season, it’s time to roll up your sleeves, get out the sanitation gloves and prepare to dazzle your guests with your gorgeous pine smelling, polished wooden shutters. Anything relating to window coverings can be a tad stressful, as dust accumulation can so easily damage it. 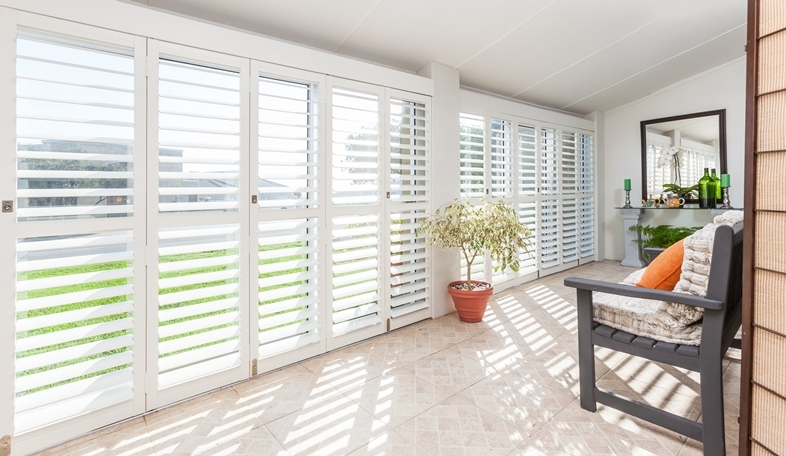 It’s crucial to maintain shutters in the best possible way so here are four of the best methods. It might be tiny particles, but as the saying goes, dynamite comes in small packages. What may be tiny and harmless now, can damage your window coverings. To avoid this, dust your wooden shutters often. Do so by using an ostrich feather duster, as it can flick the dust off faster and the duster goes in between the slats easier. To get the most out of this cleaning method, tilt the slats down and dust in a downward stroke. First dust one side before the reverse side. Do this before using a damp cloth to wipe the flat surfaces, so you can avoid dirt from clumping together in the small corners once moisture is brought in. Spray an old toothbrush with your choice of spray polish and lightly scrub the small grooves, so you can get into all those hard to reach places, which could contain clumps of dust. What’s the worst thing about doing the dishes? The part where you’re finally done and then notice more dirty dishes hiding out of sight. Now, this is precisely the same when it comes to cleaning wooden shutters, you might think the dust is gone, but it’s not, its hiding out of site, or in this case, on the floor. After dusting the shutters, aim to vacuum or sweep away any unwanted particles that may have fallen onto the floor. This will decrease the risk of grime floating back onto the shutters that you just cleaned. Grab your cloth and start giving the window structure a rubdown. Make sure it’s dry and clean. Once that is done, dampen it with warm water and wipe the rest of the surface. Don’t spray directly on the shutters and always make sure the cleaning solutions available won’t damage the shutter’s surface. Finally, use another dry cloth to wipe away any other liquids. It’s crucial that you never allow the liquid to dry on the surface as this may cause stains or watermarks. By following these simple steps, you will get a longer lifespan from your window coverings. Also, make sure to have your shutters serviced by an authorised installer at least once a year. Most will include the cleaning as well. This entry was posted in Wooden Shutters and tagged Shutter Supreme, Shutters, wooden shutters.